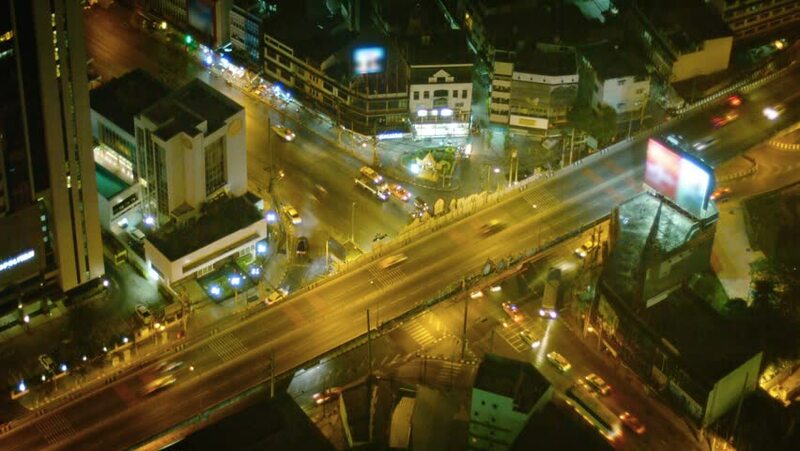 FullHD video - Light traffic on a freeway overpass above a major intersection in downtown Bangkok. Thailand. at night with well-lit towers and commercial buildings. hd00:33KAOHSIUNG, TAIWAN, 11 MAY 2014: Southern located in Taiwan, is a port city, has developed rapidly in recent years, many foreign visitors have come to play and 11 May 2014 in Kaohsiung.